New powers to stop anti-social and dangerous driving described as ‘car cruising’ in Crawley could be approved next week. 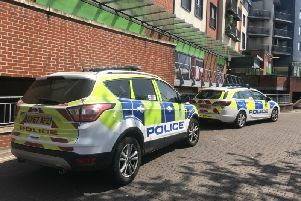 Over the last three years Sussex Police have received at least 280 complaints relating to the activity across the town. Some examples of car cruising taking place in Crawley include large numbers of vehicles congregating and then driving in a convoy, rapid acceleration and deceleration, racing and driving too fast, drivers carrying out stunts such as donuts and handbrake turns, sounding horns, revving engines and playing loud music. Participants regularly litter, urinate in public and into letterboxes and doorways of businesses, intimidate and threaten employees of local firms, trespass on private land and damage property. Crawley Borough Council is looking to introduce a Public Space Protection Order (PSPO) to prohibit vehicle related anti-social behaviour associated with car cruise activity. A breach of the PSPO would be a criminal offence and would lead to a maximum £100 fixed penalty notice. The PSPO is set to be approved by cabinet members on Wednesday November 21. Locations were car cruising events are held include Manor Royal, County Oak Retail Park, Sainsbury’s car park in West Green and the Morrisons car park in the town centre. The number of vehicles can vary from two or three to more than 50, with at least one event including food stalls and the sale of merchandise. A consultation on the draft PSPO was held in September and October. Back in September Brenda Smith, the council’s cabinet member for community engagement and public protection, said: “This proposed PSPO would give the police and council more powers to stop car cruising in Crawley. Chief Inspector Rosie Ross said: “Effective management of this issue requires a partnership approach with the council and the communities most effected. We want to respond positively to anti-social driving reports from members of the public and businesses, and ultimately prevent serious damage, injuries, or potential fatalities.